Welcome to 315 Restaurant & Wine Bar, chef-owned and operated for more than two decades. 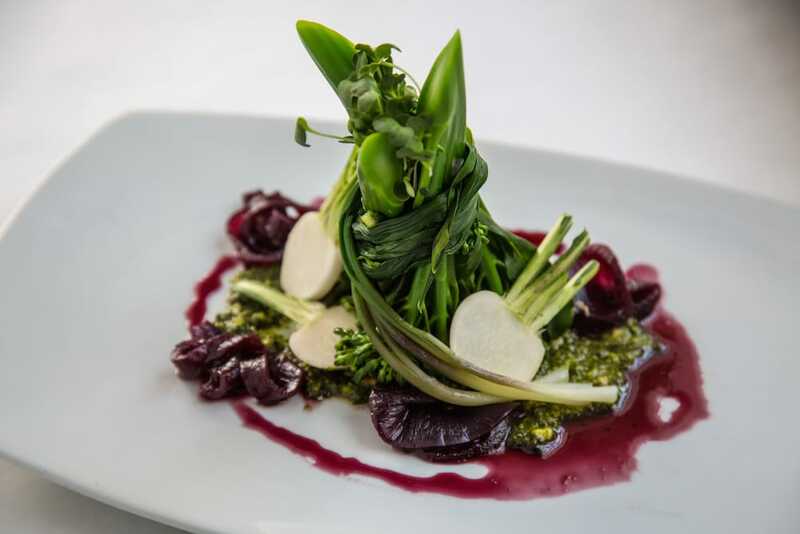 We are dedicated to serving both modern and contemporary French cuisine inspired by seasonal local ingredients. We believe this lends a unique approach to this time-honored cuisine. With a grassroots initiative, almost every dish is prepared from scratch using exceptional care in the procurement of every ingredient. In this way, we pay respect to the community by finding new ways to support Santa Fe’s unique culture of food and art. French food is much more than the classic dishes we all have learned to know and love. It is a philosophy within its composition and a discipline in its technique. Using carefully selected ingredients, we look for ways to enhance a dish rather than overwhelm it. This is where the dance begins between the food and the wine. Our wine list focuses on France, but it also offers many varietals from other countries and estates sharing the same belief. Now, with a newly expanded bar and carefully curated selection of spirits, we have created yet another way to offer a complete dining experience that offers knowledge and sophistication without pretension. Service is offered by local talent well-versed in both our cuisine and our extensive beverage program, and their competencies extend from one-on-one interactions to large parties. 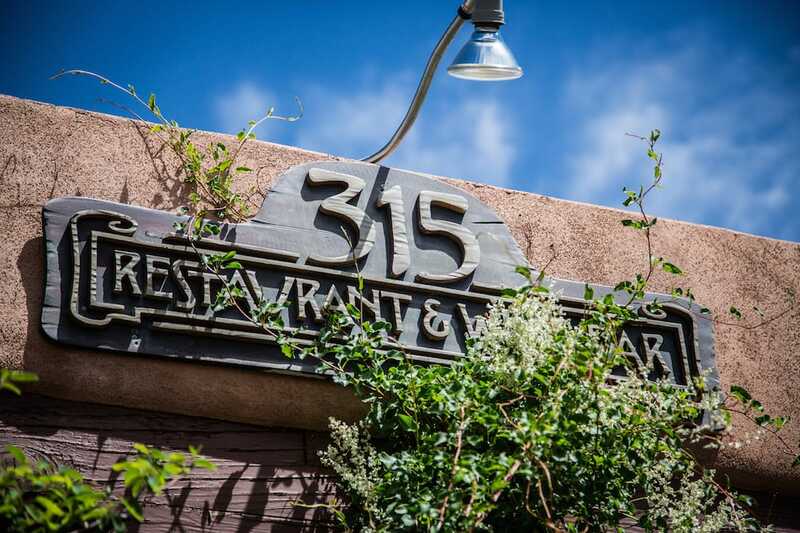 We know you will enjoy your dining experience at 315, just as countless others have done. Bon Appetit! All seasonal produce is personally sourced locally from the Santa Fe Farmers Market. Our menus are fresh, delicious, and French with a contemporary twist. We use only the best seasonal produce, and most of our ingredients are local. We also offer inventive daily specials you won’t find on the menu. Our fabulous French desserts are absolutely scrumptious, so don’t forget to leave some room! The 315 Wine Bar offers one of the most impressive wine lists in the region including bottles of wine from all over the world, half bottles, champagnes & sparkling wines, aperitifs, dessert wines, ports, and sherries. However, wine is just the beginning… Our list also includes beers and liquors. We have an extensive whiskey selection and local spirits too. Choose from one of our unique house cocktails, or order your favorite adult beverage. 315 is the perfect place to unwind while sipping on something special.